The Fibonacci Percentages are primarily based upon the sequence of Fibonacci numbers, one of which (0.618) is known as "the golden ratio" because it occurs many times in nature. The Fibonacci sequence actually appeared first as a solution in the Liber Abaci’s problem. In 1202, a book was then written by Leonardo Fibonacci to introduce the Hindu-Arabic numerals that are used widely today, in a middle age Europe that was still using the Roman numerals. The Fibonacci numbers have been used in forex trading, especially in connection with technical analysis. They are also very popular in connection with stock and options trading circles because they identify likely pullback targets in trending markets before the stocks resume their current direction. A trader can always utilize the Fibonacci numbers to set stop loss orders. Fibonacci numbers are useful for defining stops if the trader has traded off a support level and this support level is being violated. When the price action breaches a perceived support level, the 50.0% or 61.8% areas from the original price peak can be chosen to exit the trade. The Fibonacci numbers can likewise define the position size which depends upon the level of risk that you are prepared to take for your trades. With using Fibonacci numbers, you can start using them for setting profit objectives, for example, taking partial profits once the target has been reached according to the anticipated Fibonacci level. The great advantage of the Fibonacci numbers, particularly the golden ratio, is that they essentially remove emotion from the trading process by pre-defining stop losses and setting your profit objectives. Moreover, when used in technical analysis, there are 3 main fibonacci levels, these being 23.6%, 50%, and 61.8%. However, there are also some other secondary extension levels when they are required, including 100%, 161.8% and so on. Fibonacci analysis has always been an important tool for modern investors. Most traders are still cautious about using this form of analysis in all market conditions, however, the accuracy and reliability of Fibonacci analysis has made it one of the most well known and popular signals, particularly to forex traders and by extension, forex options traders. While it is true that there are still many traders who question the scientific basis for it, fibonacci percentages in their role as as retracement levels are still as reliable and dependable as any other tool available to traders today. 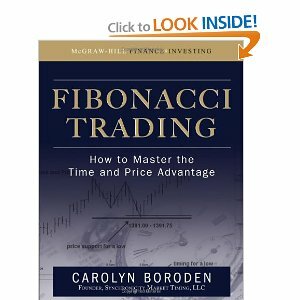 From personal experience, I believe that savvy traders can gain an edge by using the Fibonacci analysis and techniques. When used in conjunction with Elliott Wave Theory, fibonacci retracements and extensions can be a powerful combination.